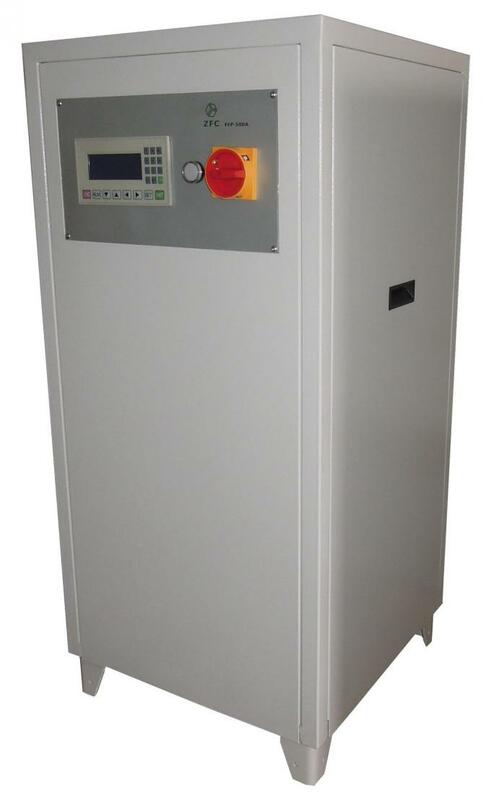 Dampening solution fine filtration Unit FFP-500A is designed for Technotrans, Baldwin, Royse dampening refrigeration recirculation in KBA, ROLAND, KOMORI, SOLNA, MITSUBISHI, AKIYAMA, SAKURAI,etc sheet fed offset printing press. 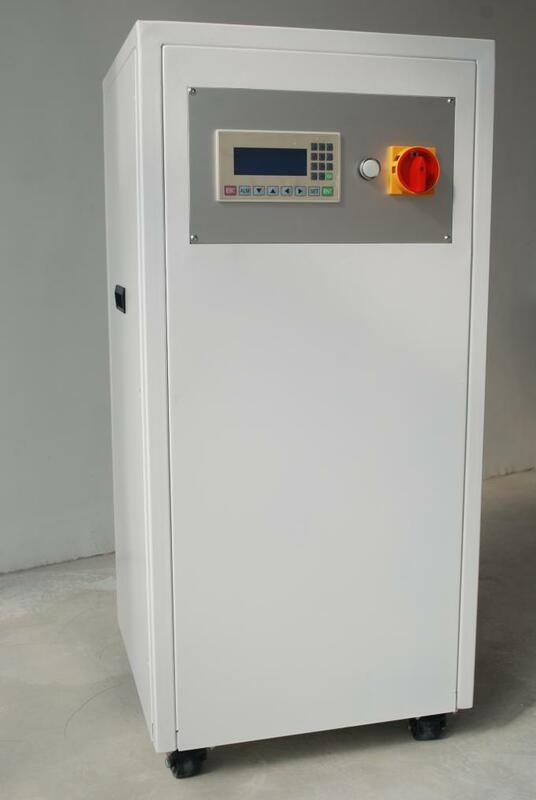 It uses 3 stage filter system, UV lamp and PLC control system to efficiently filter the waste ink, particle and contaminants that affect the quality of the printing job, to disinfect the fountain solution, to display the pressure and track the fault of the filtration system. 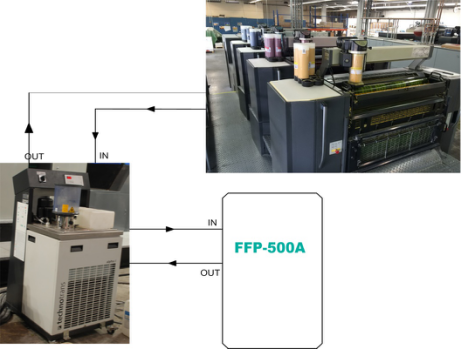 Using FFP-500A dampening solution fine filtration Unit, we can improve the stability of fountain solution for consistent print quality and prolong the life of the fountain solution and reduce the cost of printing. 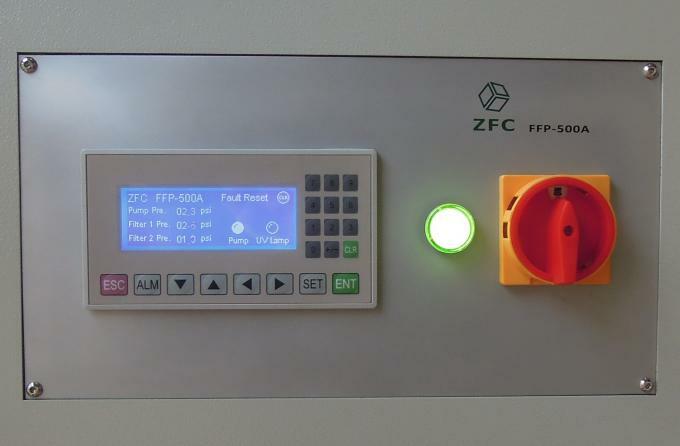 It is friendly to the environment so it is really green printing. 1.Fountain Solution with more stable PH level and conductivity to keep the Fountain Solution clean and maintain high-quality printing and maximize production.